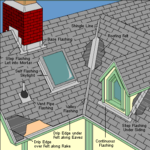 Skylights have integral metal flashing that seals them into the surrounding roofing. Here, tile or metal roofing will be applied to the battens, overlapping the skylights’ metal flanges. Skylight frames are made of wood, metal, vinyl, or a combination of these materials. The curb visible from inside may be solid wood, plywood, or white vinyl. With many, the rest of the frame is made of aluminum and vinyl, including a thermal break to resist heat transfer. Nearly all have a tough aluminum exterior cladding with a durable finish. Some companies, such as Pella, offer a wide selection of custom colors on aluminum cladding. Integral flashing seals the skylight to the roof’s underlayment beneath the shingles. Nearly all skylights also now come with special integral flashing that allows for easy installation and virtually eliminates leaks. What may appear to be a leak in a skylight might actually be condensation from warm room air contacting a skylight’s cold surfaces in winter. A key frame improvement over early models has been the addition of condensation gutters. Nearly all major manufacturers now make these special channels, which collect condensation and channel it outside or retain it until it evaporates. To eliminate condensation problems, Velux makes a fixed skylight with an operable ventilation flap that lets warm, moist air escape. 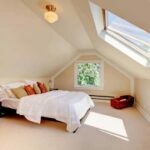 Before buying a skylight, be sure it’s rated for your roof’s pitch. Many skylights are not meant for nearly flat roof slopes, and those installed on steep roofs may require a special splash guard. As a rule, skylights are made to mount on a curb about 4 inches above the roof. 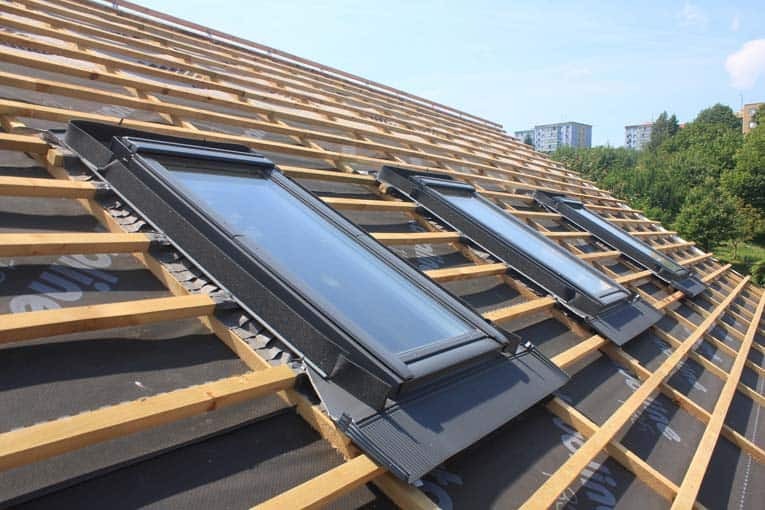 CeeFlow offers an unusual unit, designed to improve a roof’s ventilation system, that is installed slightly below the roof surface yet remains watertight.